You wake up on an strange island, surrounded by unfamiliar waters. On this island of an unknown size were many different environments, and many different creatures of many different species, from many different places. Will you make them friend? Will you make them foe? Will you even figure out how it is you ended up on this island of mystery? Now to see; will this be better than SMARP? Or worse? I'm guessing worse. I know I'm being very slow on Something Crazy, but really? in all seriousness, no hard feelings. Appearance: Lyren is olive-skinned, with dark hair kept short and scarlet eyes. Very obviously on the short side, with features that suggest she is far younger than she actually is. Her clothing is generally loose-fitting and practical, though not quite in a modern style. Weapons: Lyren's main weapon is Crescent Moon, a pair of short swords that can join at the handle to form a bow, which fires arrows of a silvery light-based energy. The weapon draws from Lyren's aura, and cannot fire when it is depleted. Powers/Abilities: Lyren's eyes constantly analyze and process information about whatever she sees. This includes the ability to copy martial arts styles and identify the abilities of others. Not only that, but she is able to retain most of this information with near-perfect recall. Additionally, Lyren has an 'aura', a magical field that surrounds her at all times. Her aura powers her bow, slightly augments her ability to take and recover from physical damage, and can be manifested into wings that grant her limited flight/gliding. Each of these applications drains her aura, the last one especially, and when it is depleted none of the above work until it has given time to recharge. Weaknesses: Lyren's mind is a bit of a glass cannon; intelligent and potent offensively, but able to take very little punishment in return. While her powerset as a whole has few specific weaknesses, it generally suffers from a lack of direct firepower. When caught in a direct confrontation with somebody else with powers, she's probably going to be the less powerful one. Furthermore, she has a tendency to accidentally run off on her own or otherwise isolate when forced into team situations, killing any sort of possible team dynamic. She can also be a touch pedantic and argumentative, continuing to argue over things that really aren't that important. Lyren is a loner by nature; someone keen to act on her own volition, whatever the situation. She enjoys being witty and will often fall back on sarcasm and sass when interacting with others, she does try and be friendly. Sometimes. When she feels like it. Bio:In her early twenties, Lyren was a wanderer in her homeland, travelling from place to place for the fun of it and doing odd jobs to pay for food and equipment. Now she's here. Appearance: He is a quite tall man with a short brown beard and black eyes. He have a pair of silver glasses and not too fancy clothes. Weapons: A knife, some scrap metal. 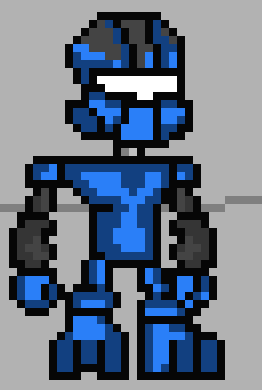 Power/abilities: he is pretty smart, and he loves to build small robots. Personality: Again, very smart, don't like arrogant people. He like to make friends. Bio: He was born in New York. He went to the best school around and won a lot of physic and chemistry contests. Now he is a scientist who have a lab in his garage and likes to watch good cartoons (e.g. Regular Show) and Marvel movies. Appearance: As tall as Vladin. She has short brown hair and light green eyes. She also wear expensive clothes. Powers/Abilities: She can use he gun. She is also pretty smart. Personality: She like to joke, even if she may hurt somebody. Bio: She is Vladin's twin. She went to the same school, but after it she decided that it would be nicer if she would became an entrepreneur. So now she has a whole company of small gadgets. Appearance: Average height, slim, light skin, grey eyes, blonde hair, gray tunic, black pants, dark brown boots, dark red trench coat or cape with hood. Weaknesses: has some touchy subjects from his past that really get to him, and that huge crystal in his chest is a huge weak spot. Bio/personality: A kind, playful and fun man who is quite wise, yet hides it behind his playfulness in favor of letting others learn for themselves. Very difficult to anger, yet very, very dangerous when he is. Repetitive Week Ideruba. Everytime he gets killed or a physical week passes for him. He looses the memory of that time. Generally pisses people off. Kinda selfish. Weapons: 2 really big broadswords, and a throwing axe. Weaknesses: Hates water and aqua-phobic. Cold blooded and once he starts to burn he is very hard to put out. Hates being told what to do. Gets lonely quick. Personality: Hates fish. Quiet and focused. Can't speak human speak, only speaks dragon. Gets lonely quick, prefers to be with others. Bio: He was a half-dragon born to a fire dragon on the high peaks of human county. He never knew his human mother, but was raised by his dragon father. He prefers to be with someone even if they can't communicate. Weapons: Flail I know the picture has a sword, but I plan to give him a flail in the future. Weaknesses: He's not that smart and he's not very fast either. Personality: Anti-social Kohlii hater with a short temper. 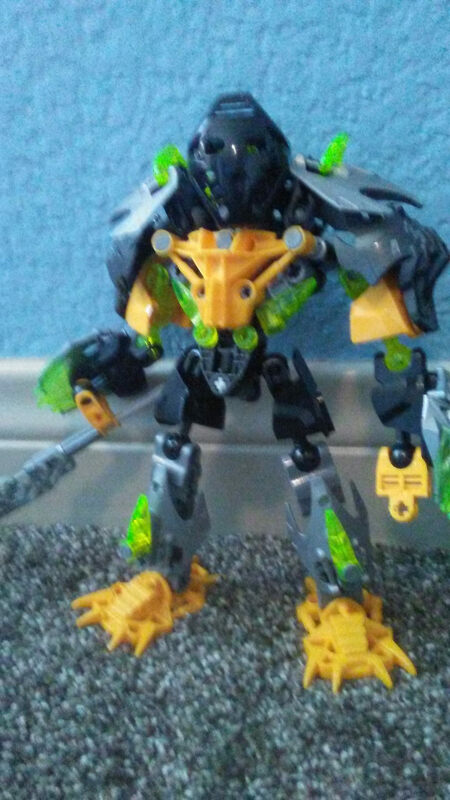 Bio: Originally from a remote island, Norax is one of the six Toa Isa, a group of toa who protect Isa Nui from harm. One time he fought and helped destroy some people who wanted to blow up Isa Nui or something. Bio: Helias had an interest in magic since a very young age. He was taken under the wing of an older Wizard who had chosen him due to his passion. One day the Wizard had left and never returned, leaving Helias' training incomplete. After a few months of waiting, he gathered up his resources, and decided to leave on a quest in order to find his mentor. Personality: Headstong, easily distracted, dorky, likes animals, and engineering. Bio: Gavok activated on some random island in the sea was alone for most of his life and only had the animals and the small drones as company, and he had the urge to find out what the outside world was like, though he did not have hope that he would find out , that was until one day he found a broken boat in an underwater cave and after repairing it, he decided to set off on adventure to finally see the outside world. The Ever Legendary SMARP. What a gift.